It all started back in 2007 in Warsaw when a field of 120 entries in the inaugural Unibet Open Main Event was topped by Norway’s Stale Lokse, and since then the Unibet Open has become a very popular tournament series all over Europe and beyond. For almost every stop, there are plenty of qualifiers from Scandinavia who all dream of following into the footsteps of the Norwegian. At the end of the 11th season, there have been only two players to win multiple Main Events in Mateusz Moolhuizen and Dan Murariu, the only two-time champions thus far. Moolhuizen came very close to a third title and fell agonizingly short in his bid when finishing runner-up at the 2013 Unibet Open Tróia. The Unibet Open vita of Murariu is as impressive, as the Romanian has another three Main Event final table appearances to his name as well. 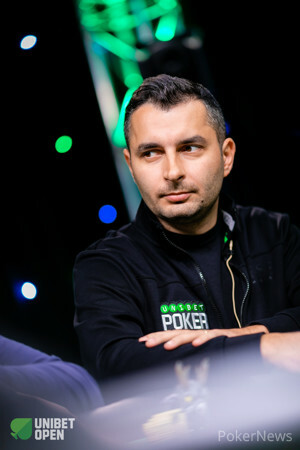 Often considered as "Mister Unibet Open," Murariu has since become an ambassador for Unibet Poker and will participate on Day 1b of the 2018 Unibet Open Dublin Main Event. Moolhuizen has been eliminated on Day 1a and can re-enter in the turbo heat 1c as of 9 p.m. local time. A record field of 673 entries emerged in the special edition as part of the Wynn Fall Classic, the European Open in Las Vegas, and it was American poker pro Joe Serock that won the biggest Unibet Open Main Event so far after emerging on top of a 673-entry strong field. All three recent trips to Bucharest and Murariu’s home country of Romania resulted in impressive fields thanks to 603 entries in 2016, 502 in 2017 and 592 a few months ago. Traian Bostan and Marius Pertea claimed back-to-back titles for Romania on home soil, Russia’s Anton Vinokurov was the last player to lift the Main Event trophy to date. Who will become the latest addition to the Unibet Open Main Event champion’s club? Find out right here on PokerNews, your one-stop-shop for all the action in Dublin.